Updated Wednesday June 15, 2016 by Arizona Outlaws Lacrosse. Congratulations to our Arizona Outlaws Lacrosse Pee Wee team for finishing 2nd Overall and taking home the Silver Metal at this year's Denver Elite "Battle in the Box" Tournament (June 2016). We couldn't be more proud of our boy's performance at their first box lacrosse competition. The next competition is in San Jose, California to complete in the USBOXLA National Tournament where the Arizona Outlaws Lacrosse will bring multiple teams in the Pee Wee, Batnam, and Midget age groups. 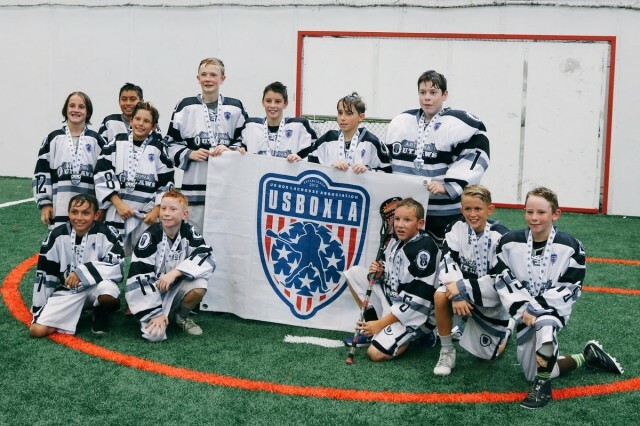 Denver Elite Tournament Review: The Arizona Outlaws Lacrosse Pee Wee Team competed in it's first-ever box lacrosse tournament where they surprised everyone and made it all the way to the tournament's Championship game. Unfortunately, the Outlaws fell short in the final against a highly-skilled and well-coached Denver Elite team. The boys played great and worked very hard to make it to the final. Coach Prepchuk was overly thrilled with his team's performance and for what the future holds for the group of boys. "I (we) didn't know what to expect going into our first tournament/games ever. I knew we had a skilled group of players going into the competition, but to see how well they played in their first time in the box, was really something special. Not only did our players have a lot of fun, I think our parents enjoyed the weekend just as much as our players. I am enthusiastic about the future of the Arizona Outlaws program." If interested in participating in the Arizona Outlaws Lacrosse Travel Team, please let Coach Ben Prepchuk know immediately at ben@arizonaoutlawslacrosse.com.